Another long ride in sunshine, today around Cape Caution, the longest open ocean crossing on this trip. There was hardly any wind and only little swell, so very comfortable. We did start at 5am though, and it will be an early night again. 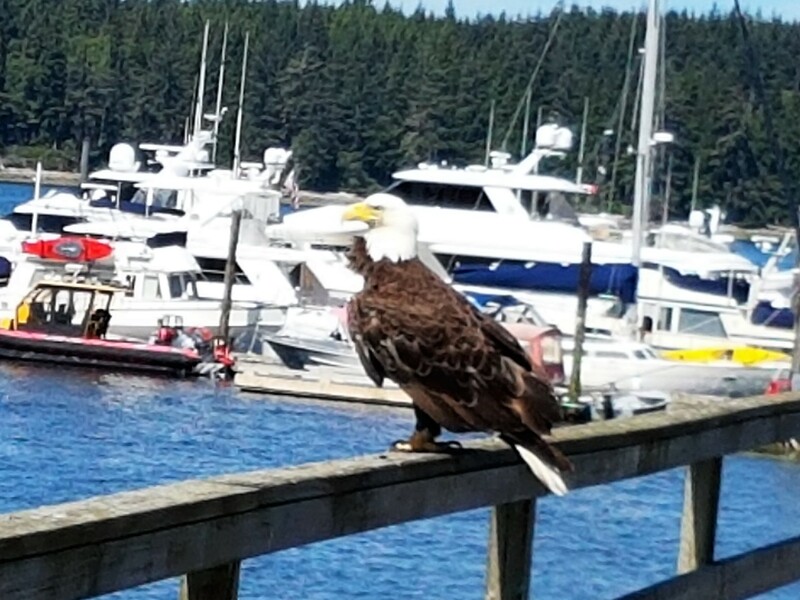 The marina has a barbecue and happy hour area, and we will visit that (after shooing away the bald eagle) before hitting the hay. Beautiful weather today, sunny and warm. We continued our journey south and are anchored in Fury Cove for the night. Friends from a boat we went up north with are coming by for happy hour. The forecast looks good for going around Cape Caution tomorrow. We had a quiet night in our bottleneck and continued south. The rain and wind stopped this afternoon and the forecast looks good for the next few days. Tonight we are anchored off the Shearwater Resort; their docks are full, but the pub is open and we intend to take the dinghy in later. Another long day, but with sunshine. We are now anchored in Bottleneck Bay, which looks exactly like a bottle neck. There are strong winds and rain forecast for tonight, but hopefully by tomorrow the weather will be nice again. A long day today again, but a smooth crossing of Dixon Entrance and we are back in Canada. 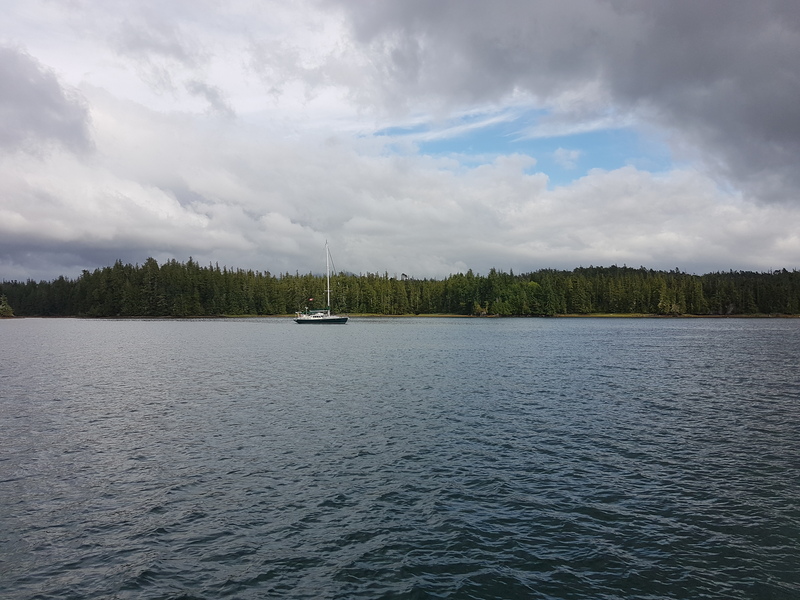 We are anchored in Kelp Passage now, about 20 nautical miles south of Prince Rupert. We made good progress south, but the weather continues to be wet and cool. 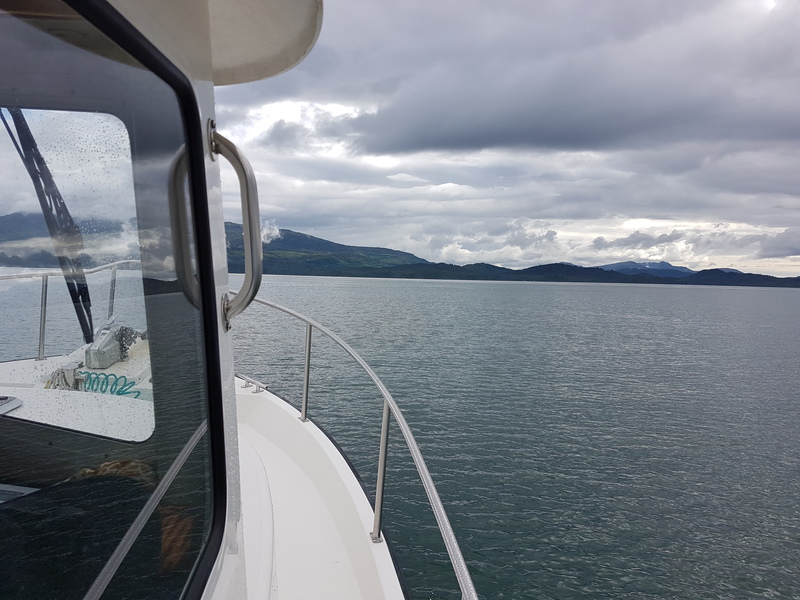 Today we battled wind and waves for a few hours, but are now in Ketchikan where we started our Alaska adventure in early June. We hope to be able to go on to Prince Rupert tomorrow. Alle unsere Gäste sind wieder weg, und wir sind heute 87 Seemeilen Richtung Süden gefahren. Jetzt liegen wir in Cleveland Passage vor Anker. Wir waren im Juni mit Andrea hier und sind wieder ganz allein. Das Wetter ist trocken und warm (16 Grad). Sent from Iridium Mail Weg, u& Web. 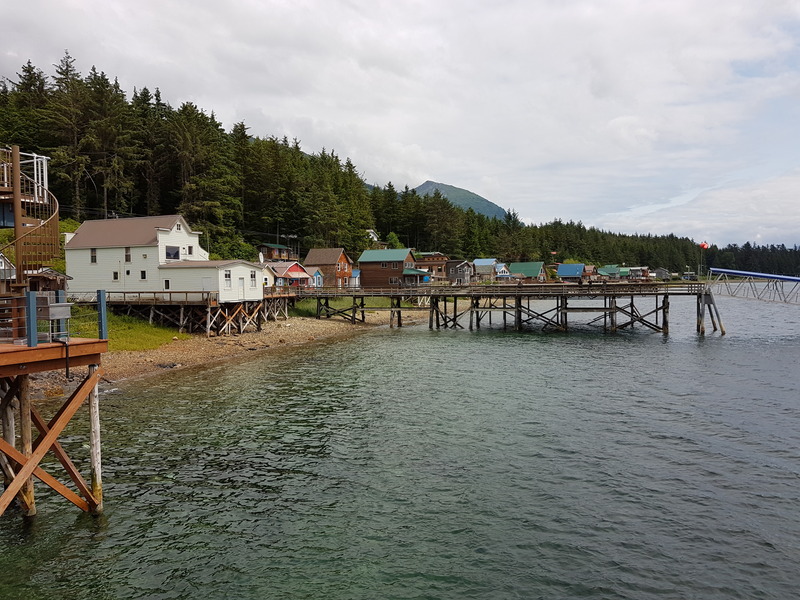 We enjoyed our time in Tenakee Springs, and today we came into Hoonah. 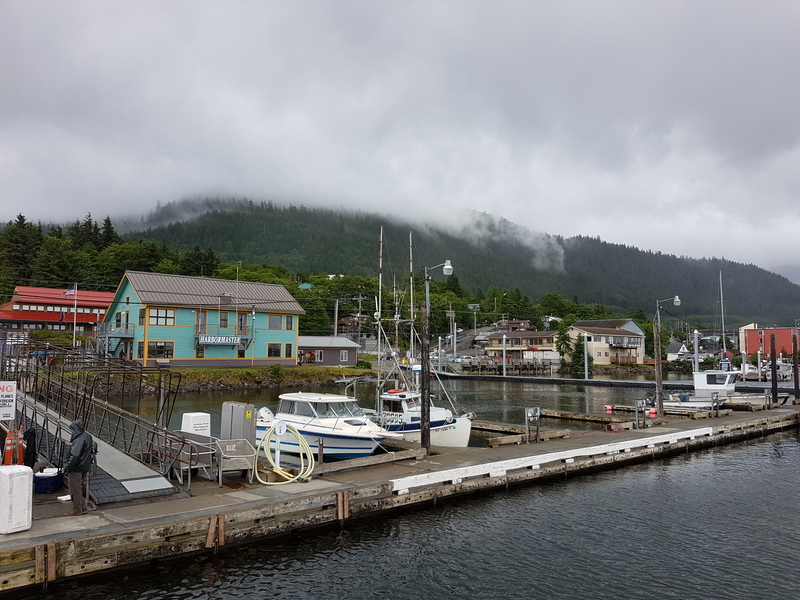 There is no cruise ship here today and the town is very quiet. 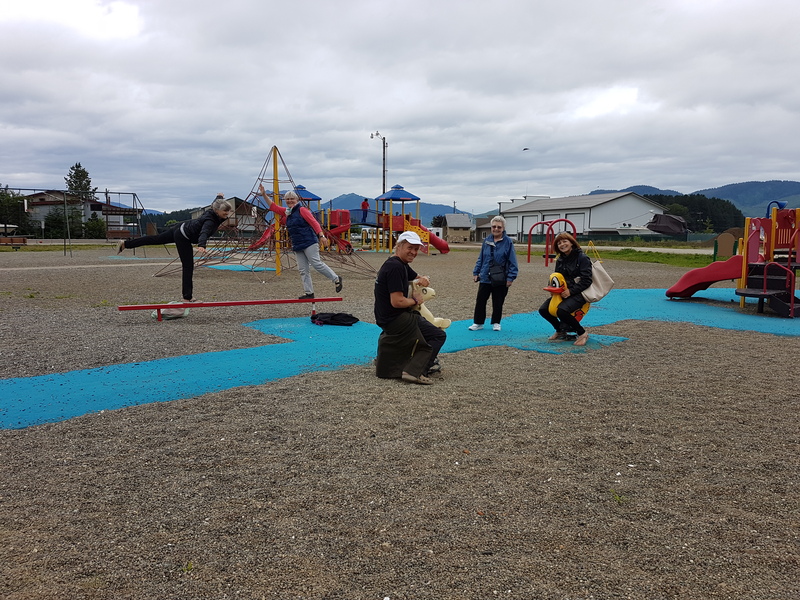 We had a walk about, visited the local brewery (no picture), and the playground (picture attached). After watching lots of bears in Appleton Cove we pulled into Tenakee Springs today. The bakery has nice lunch, and then we will be sitting in the hot tub (men 2-6pm, women 6-10pm, no bathing suite needed). We have enlarged our group, Bernice, Bonnie, Andy, and Kim joined us. Heidi and Michael will leave tomorrow, and we will go back into the wilderness. 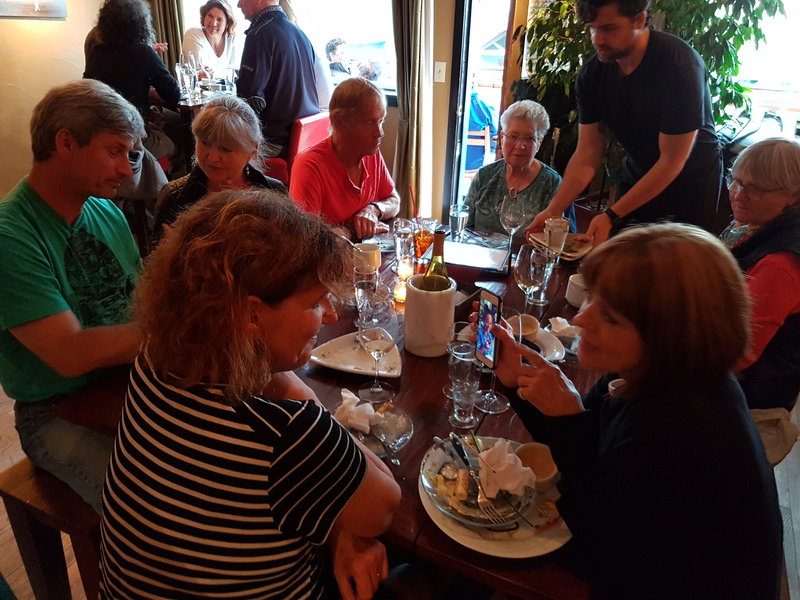 Tonight we are all enjoying a great dinner at Ludvigs.